I've never been one for hunting for Christmas time bargains, in fact for a very long time I've felt the holiday has been way too over-commercialized and it only gets worse every year. For me the Friday after Thanksgiving is another day off work, (now that's something to be thankful for. <G>). 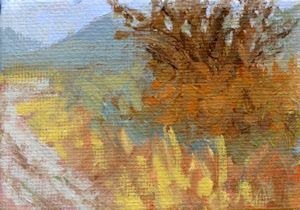 We have been blessed with milder than normal weather for this time in November which allowed me to get out and do some sketching. 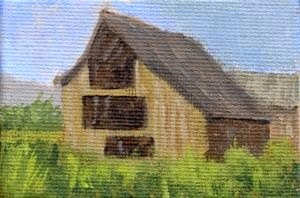 I headed to one of my top five favorite sketching spots, Wheeler Farm, a historic farm owned and run by Salt Lake County. 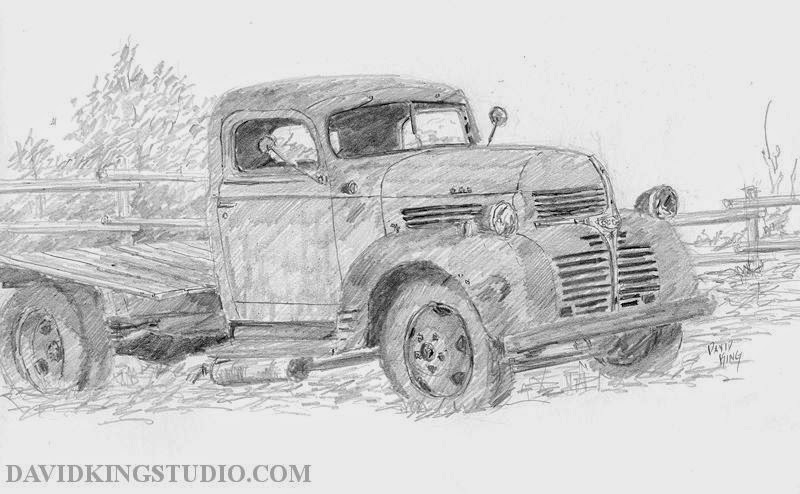 I knew they had liberated the old Dodge truck from the garage and placed it out in the garden so of course I sketched that first. I kept it simple, just graphite pencil in my 9x12 bristol smooth sketchbook. After a break for some lunch I walked over to the antique machinery building planning on sketching the John Deere they always have on display outside. 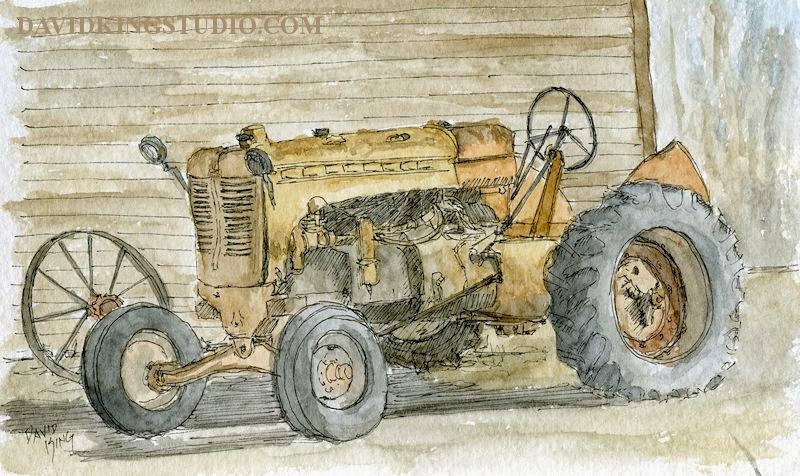 I was surprised and excited to see they now have another tractor on display outside of the building, a Moline I believe, so I sketched that one instead, this time in pen and watercolor. I finally finished up a painting I started some time ago, just made some final adjustments today. 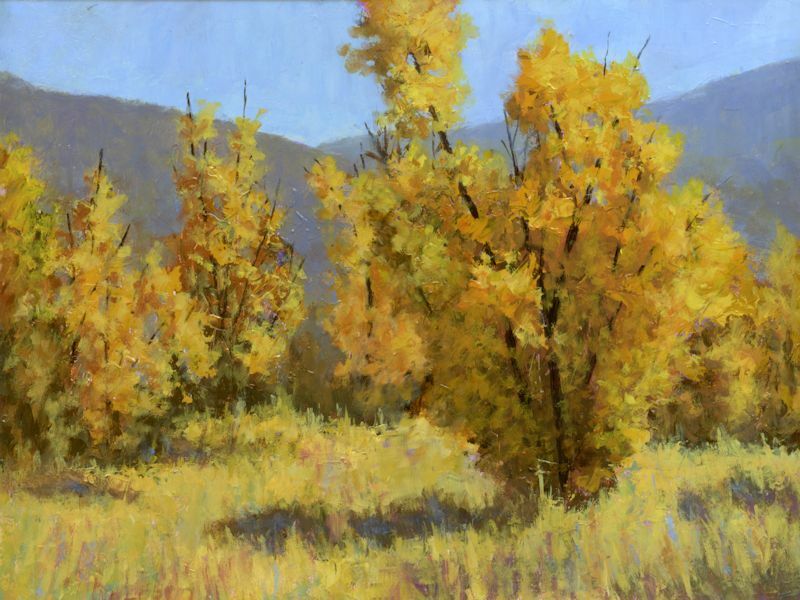 This painting is based on a photo I took in the Heber Valley near the Provo River. 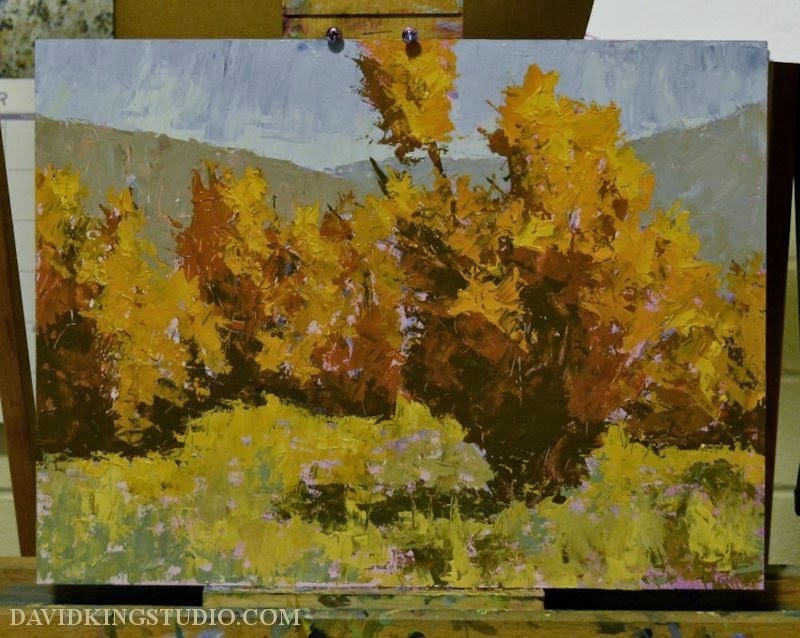 I started this one with my new process of doing a palette knife under painting. Here is how it looked after the palette step. 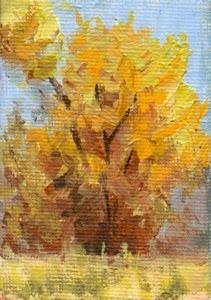 Using a palette knife imparts a lot texture because you are working with thick paint which forces even the brush layers after to be more loose because the brush skips over the texture. Overall I enjoy this new process as well as the results so I'll probably continue experimenting with it. This is one of the things I love about acrylics, they allow for so much more freedom for experimentation. Lean over fat? No problem for acrylics. 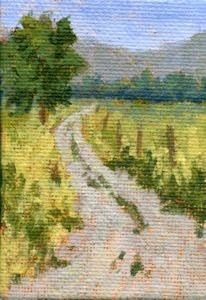 Mini's, also known as ATC's (Artist Trading Cards) or ACEO's (Art Cards Originals and Editions) measure 2.5" X 3.5" or a little bigger than the standard size business card. I've known about these for years but have never painted any. I follow the blog of Karen Margulis, a very prolific landscape pastel painter. 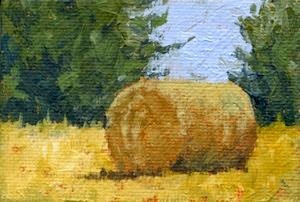 Karen had "Mini Week" on her blog last week and it inspired me to try a few, but in acrylic. I may do some pastel mini's later. I picked up some mini canvas boards at the craft store and went to work. I painted all five of these in one session. This was a lot of fun so I'm sure I'll do more. Besides being fun, painting mini's is a useful exercise. In a relatively short time you get plenty of practice and test a few compositions and execute a few color studies, very productive!